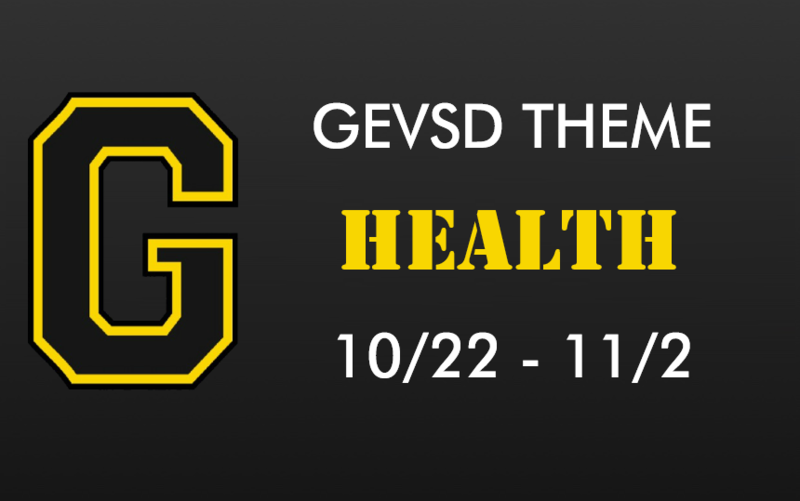 The theme for the next two weeks at GEVSD is Health. We will be talking to students and engaging them in activities that promote a healthier version of themselves. This Friday all students in grades 7-12 will be taking care of their social-emotional health by giving back to the community. Our students will ALL be engaged in community service projects. The theme for this day is giving without the expectation of anything in return. I am so proud of the students and staff at our schools that place such a deep value on service. Please join us in talking to your children and one another about the benefits of being healthy! (Physically, mentally, socially and emotionally) We are honored to have the opportunity to educate your children.